Grading forms, homework assignments, name labels for school supplies, and more! 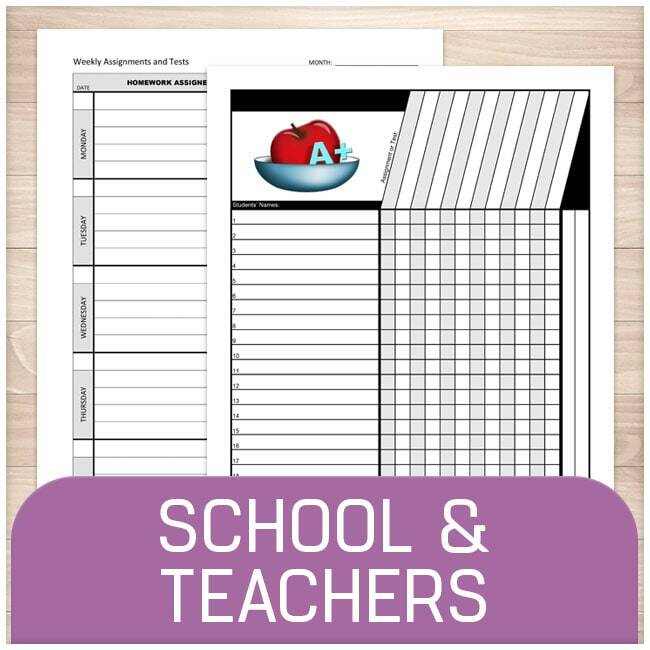 Printable Planning brings you a collection of printable forms and labels for back to school, the school year, and teacher forms and labels. Popular listings include the name labels for school supplies. You'll also find organizational pages for your homework, for teachers to grade their students, school supplies shopping lists, and more. • 8.5" x 11" printable PDF pages and label sheets. • Print as many times as you need once you have your download.